Wow! This sounds so awesome! How do you find out about these different events? I would love to participate in things like this in my area. 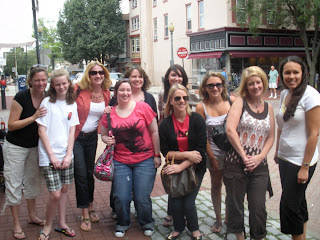 I'm glad you had a good time and got to meet so many other bloggers! These are the kind of days us book lovers live for. I enjoyed reading about your day. And your book reviews are doing authors a real service. Keep up the good work. Looks like you had a wonderful time! Too bad this all started WAY after my family moved from PA...I would have been SO CLOSE! Cie la vie....happy reading!